We want you to get the right part, the first time. With this in mind, we have created a Frequently Asked Questions page to help you navigate the site, understand how we operate, and identify the correct part required. This page in no way replaces good old fashioned personal service, so you can contact us by phone, email, or live chat during working hours and we will be happy to help you sort through any questions you might have. Pickup is available the same working day from our Lonsdale warehouse or the next working day from our Wingfield collection point. Cash and credit card payment options are available at Lonsdale but not Wingfield. There are no parts at Wingfield; it is just a collection point. If you would like to collect your part from Wingfield, you will need to pay for it before we ship the goods; there are no cash or credit card facilities available there. 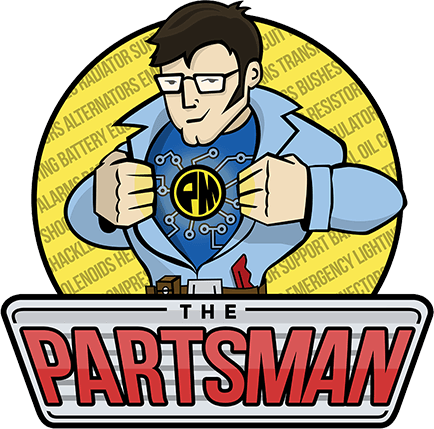 The Parts Man staff work very hard during the week and like to have weekends off to recover. So we are not open Sundays. We are in the office 9:00am – 4:30pm South Australian time, Monday to Friday excluding SA public holidays and most Saturdays 9:00am to 12:00pm (Please call first to confirm we are open). Will this alternator fit my car? The best way for us to accurately determine correct fitment, is for us to cross reference the part numbers from your existing alternator. 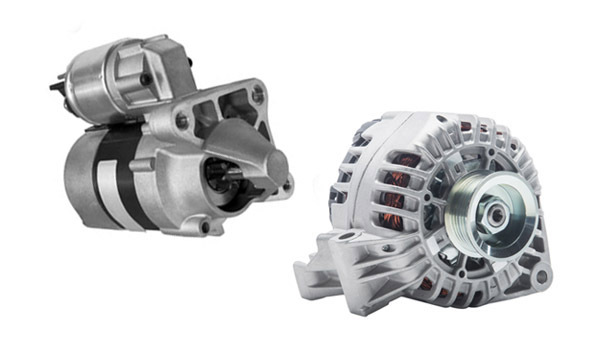 Manufactures often use several different alternators in the same model vehicle depending on availability, cost and location at the time of manufacture. In most cases we are able to cross reference, using the original brand and part number to interpret the correct unit for replacement. We also supply a detailed specification sheet at the bottom of our listing that shows all physical measurements, output rating and plug type for you to compare to your original unit. Does your warranty cover labour or freight? Our warranty covers the replacement part only. Please visit policy for more details. Are you parts new or second-hand? Our parts are brand new, never fitted. We don’t sell second-hand or reconditioned parts. Yes. We have a returns policy, the details of which can be found here. In a nutshell, if we get a part back within our guidelines (i.e. it’s in saleable condition) then we will give you a refund. The same working day it was ordered in most cases (1:00 pm cut-off), if not, then the next working day at the latest. We accept payment by credit card, direct deposit, and PayPal. If you select the pickup South option you can even pay by cash. Payment must be received within three days of purchasing an item. For credit card payments please phone (08) 8322 5112. Do your sand flags meet SA Desert Parks requirements? Yes, we have a flag specifically made to meet Desert Parks requirements. What transport company do you use? Depending on your location and the part type we use Toll or Toll Ipec for most of our freight requirements as they have an online tracking facility.